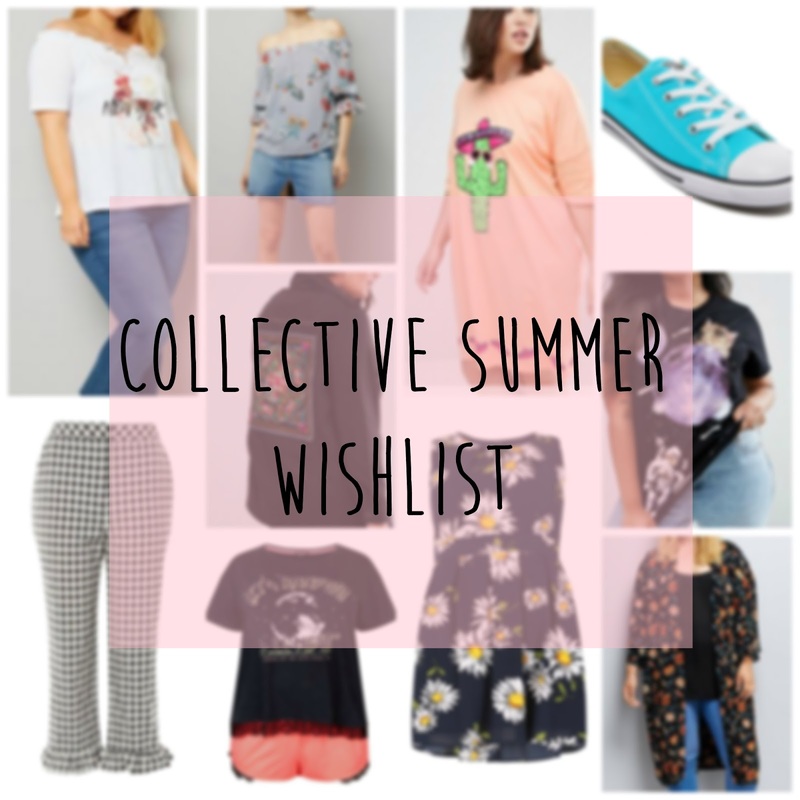 Because I liked writing my ASOS Summer Wishlist (even though it was basically like torture because I was on a spending ban at the time), I've decided to do a collective "Summer" wishlist, even though the majority of the things on this wishlist aren't exactly Summer related (lol). But here's a wishlist of things I like the look of right now. So first all of all, as you may already know, I'm obsessed with anything with cactuses on so I had to put the cute sleep tee on my wishlist because, well it's adorable. I also love the look of the River Island Army Jacket, I really like the embellishment on the back, it definitely makes the jacket more eye catching and girly. Lastly, I really want some Converse, I'm still not sure if I want basic black and white ones because obviously, they'd go with pretty much any outfit or coloured ones because they are more eye catching and just brighter, I really like the look of the ones I found via Love The Sales. I definitely don't need any more Kimonos taking over my wardrobe but I really like the look of this one from New Look, it looks very light weight and flattering, I also think it's a kimono you can wear dressed up or down. I also really love the look of the New York Bardot top from New Look too, even though I must admit, I think it is quite pricey considering I'm pretty sure you can pick up similar looking tops right now in Primark for less than half the price. Obviously, I couldn't do a wishlist without adding the cute, space cat t-shirt I came across on ASOS, I'll admit, I probably wouldn't wear it out of the house because I'd probably get a few weird looks (lol) but I'd definitely wear it as a lounge or pyjama top. I'm on the lookout for some pretty, summer dresses that will flatter my shape and I really think this dress from Izabel London is gorgeous and exactly what I'm looking for. Even though I always say that Bardot tops don't really suit me, (I can still live in hope, right? ), I really like the look of the striped, printed Bardot top above. I don't know what going on this month, but I've been kind of obsessed with buying pyjamas and sets, so I saw the top and short pyjama set on New Look and thought "yesss, that is a cute set" I really like the little details of the lace on the hem and the contrast of the colours. Lastly are these gorgeous Topshop Gingham trousers, I first saw these on one of Emma's Rectangle's recent haul videos and I fell in love, unfortunately they are never in stock in my size *sad emoji face* and if I'm being totally honest, I don't know if they'd actually suit me anyway. So there's my Collective "Summer" Wishlist. What things are on your wishlist right now?